We've just returned from Sicily, and we're happy to report that the Mediterranean island finally has some solid luxury hotel and resort options to complement its incredible historic sites, beautiful landscapes, and great food and wine. History and art lovers will thrill to Sicily's Arab-inflected architecture, churches filled with sparkling mosaics, and remarkable Greek and Roman ruins. Foodies can enjoy the island's acclaimed cuisine, and perhaps consider one of the private cooking classes we arrange with Sicily's most renowned food experts. All travelers—including families—will love the luxurious seaside resorts. Our guides bring the island's history alive and provide an essential link to the local culture and people. 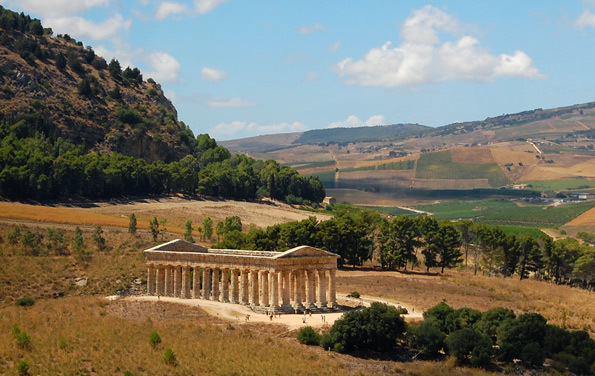 Contact us to learn more about our recommended Sicily tours: Highlights of Sicily, Art & Culinary Tour of Sicily, A Week in Sicily and Luxuries of Sicily. Sicily combines well with many destinations across Italy and Europe. Laos is an increasingly popular Southeast Asia travel destination for us, largely because Luang Prabang, the atmospheric cultural capital, has more luxury options than ever. We've just returned from Laos, where we met with renowned weavers, had in-depth Buddhist experiences, visited an elephant camp, went hiking and biking, took a scenic excursion along the Mekong River in a private boat, toured the local markets and took a cooking class with a local chef. 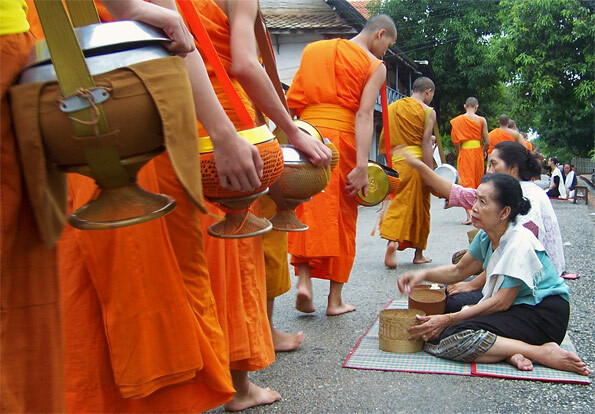 Our private Laos tours feature these special activities and many more, customized to your interests. We hope you enjoy this slide show of images from our recent trip. You might also like to read about Lao culinary specialties on our blog. We've greatly expanded our art, architecture and design tours. 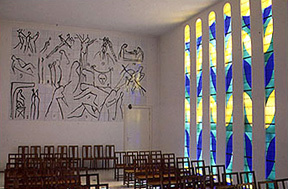 These tours feature the same trademark mix of culture and lifestyle that make our regular tours so enjoyable and edifying, but with an even sharper focus on the extraordinary artistic legacies in each destination—from ancient Hindu temples in India and Aboriginal art in Australia to contemporary art and architecture in Germany, Austria and Switzerland. You don't have to be a collector or curator to appreciate these tours (though many of our clients are). They are suitable for anyone with a passion for art and a desire to experience firsthand the masterpieces of today and yesterday, and perhaps even pick up a painting, sculpture, tile or ceramic piece along the way. Many of our in-house travel experts are also art experts, and we can customize our tours according to your degree of interest and area of expertise, including setting up appointments and private tours with local curators, museum directors and other professionals. New art tours include Italy for Art Lovers, Ceramics Tour of Japan, Art & Temples of India, Art in Argentina and Art Tour of Switzerland. 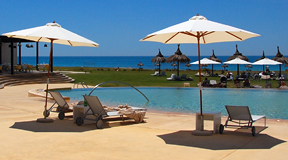 We're often asked what we consider the ultimate Artisans of Leisure dream trip. Of course, we treat every tour we create as a dream trip. 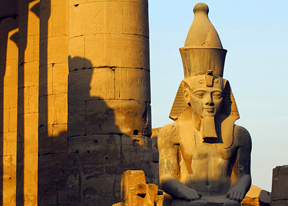 But, one of our favorites is our 16-day Cairo to the Cape: Egypt & South Africa. It features iconic experiences such as a Nile River cruise, a private tour of the Pyramids and a multi-day safari in one of the top South African game reserves, as well as private touring in the fascinating cities of Cairo and Cape Town, and a food-and-wine focused excursion through the culinary paradise of the Cape Winelands. Our private luxury tours in the Middle East—Egypt, Israel and Jordan—are enormously popular. We are excited to announce that we will soon be adding tours in Syria and Lebanon, two fascinating countries that sit along ancient trade routes and have complex cultures developed over thousands of years. 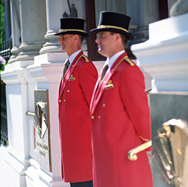 The tours will feature luxury hotels such as the Four Seasons Beirut and our hand-selected expert guides. Highlights include Beirut—one of the most sophisticated cities in the world—ancient Damascus and Aleppo, and compelling UNESCO World Heritage Sites such as the archaeological site of Palmyra, Crusader castles, Roman and Umayyad ruins, Phoenician sites, Jewish quarters, and ancient mosques and churches. Our travelers will be able to experience the local lifestyle in lively markets and labyrinthine souks, and should look forward to some of the best cuisine in the Middle East. 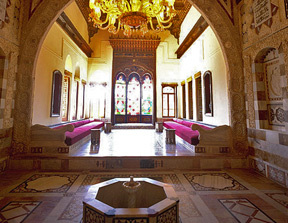 Our private tours in Syria and Lebanon are currently available on request. Contact us today to learn more. Worth magazine featured Artisans of Leisure's philanthropic tour activities in their "Elite List" in the June/July 2010 issue. Philanthropic activities can be a great way for travelers to give back to the local communities they visit while traveling. We arrange philanthropic activities in many destinations around the world, such as donating supplies to rural families and schools, hands-on projects in local villages, and visiting orphanages and children's centers to provide much-needed interaction and fun. 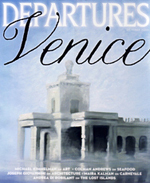 Departures magazine features Artisans of Leisure as a top Italy specialist in the October 2010 destination issue devoted to Venice, noting our "cultural expertise and connections." Many of our most popular Italy tours feature Venice, including Venice & Beyond, Highlights of Italy and Exclusive Italy. Read more on our Press page. Leah Reilley, one of our travel experts, just returned from an extensive trip through stunning Patagonia, proclaiming it "one of my best trips ever." For someone as well traveled as she is, that's saying something. 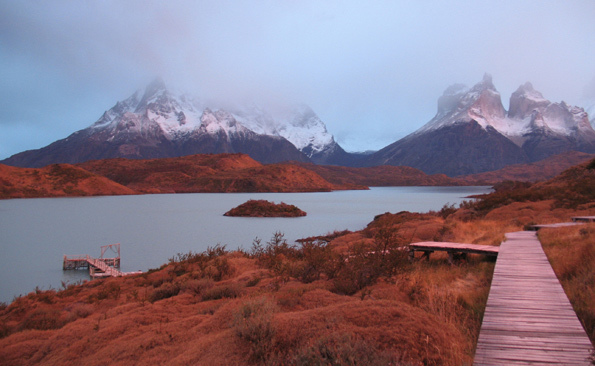 Patagonia's sublime landscapes never fail to impress visitors, and the legendary wilderness lodges and high-end resorts we use on our tours, such as Explora and Llao Llao, guarantee luxury among the wilds, including great food and wine, and full-service spas. During touring, you can be as active as you want, such as taking a leisurely walk with awe-inspiring views, cruising on a lake packed with icebergs, horseback riding in the steppe, or venturing on a full-day hike among high peaks. We recommend a minimum of three days and up to a week or more for an in-depth tour of Patagonia highlights such as Torres del Paine National Park in Chile, and the Lake District and Perito Moreno Glacier in Argentina. Patagonia combines perfectly with cultural and culinary touring in Buenos Aires or Santiago, wine touring in Mendoza or the Colchagua Valley, and time in other destinations of extraordinary beauty such as Iguazu Falls and the Atacama Desert. Our blog continues to feature articles about favorite Artisans of Leisure places and experiences around the world. It also features the latest news sure to interest our luxury travelers, such as a recent post on the outstanding Mandarin Oriental, Hyde Park in London, which will be opening Dinner by Heston Blumenthal, a new restaurant from the famed chef of The Fat Duck, in December 2010. It's not too late to plan your perfect tour over the holidays. Many of our favorite destinations are at their best from November through February, including India, Southeast Asia, Mexico, Australia and New Zealand. 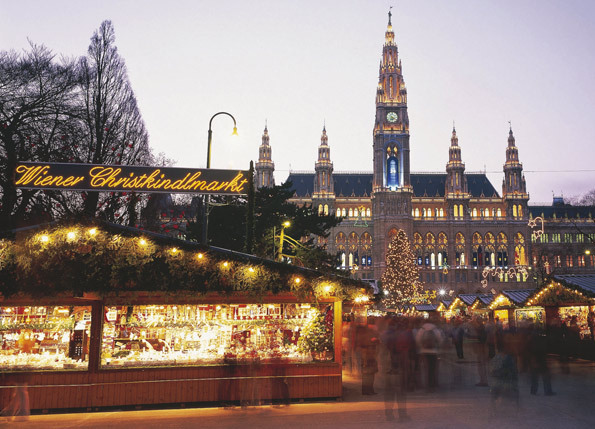 We also love Europe this time of year—festive holiday markets fill the streets in France, Austria, Prague and Budapest, and places like Marrakesh and Istanbul are great for weeklong getaways dedicated to shopping, dining and cultural touring. Great tour options to consider include Best of Spain, Family Tour of Southeast Asia, Romantic Morocco, Classical Turkey and A Week in Mexico.